Pet owners may remember a recall initiated earlier this year by Evanger’s after the pet food company said that certain lots of its “Hunk of Beef” product were contaminated with pentobarbital. The chemical is known to cause drowsiness, dizziness, excitement, loss of balance, and nausea – and in this case, it caused the death of a pug in Washington. Now the company is suing its beef supplier, Wisconsin-based Bailey Farms LLC. According to Courthouse News, the suit charges that the beef provided to Evanger's contained horsemeat laced with the euthanizing drugs that led to the dog’s death. Evanger's is suing for breach of contract, breach of warranty, and fraud. “In addition to the loss relating to the unsalable product and the cost of the recall, Evanger’s has suffered extensive damage to its commercial reputation because its product contained horsemeat instead of beef and that horsemeat was contaminated with pentobarbital. This reputation damage has led to a significant loss of retail stores that will sell any of Evanger’s products,” the suit states. 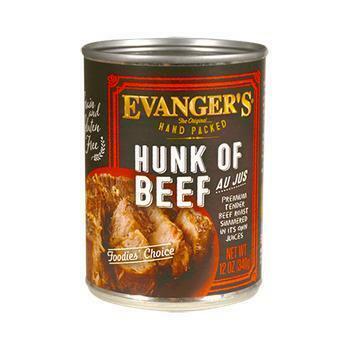 Evanger's first received an order of over 42,000 pounds of beef from Bailey back in 2016, which it converted into roughly 50,000 cans of Hunk of Beef. In January, four pugs in Washington State became sick after eating the product and one passed away, the lawsuit says. Evanger's says that the dog owner sent the remaining food that was in the can, as well as samples from the dogs’ stomachs, to a laboratory at Michigan State University, which confirmed the presence of a high concentration of pentobarbital. This created a red flag for Evanger's, which said that “it would be highly unlikely that pentobarbital would be administered to a cow” because “cows are not generally euthanized.” The company ran DNA tests on additional cans of their pet food and found that the products had DNA from both cows and horses. The company charges that Bailey breached its contract by not selling product that was 100% beef, as was stipulated in the company’s order. Further, the company says Bailey breached implied warranties and committed fraud when it deceived Evanger's about the contents of the shipment. The company is seeking $5 million in punitive damages, reimbursement for court fees and attorney’s fees, reimbursement for the cost of its recall, and any further relief that the court deems necessary.